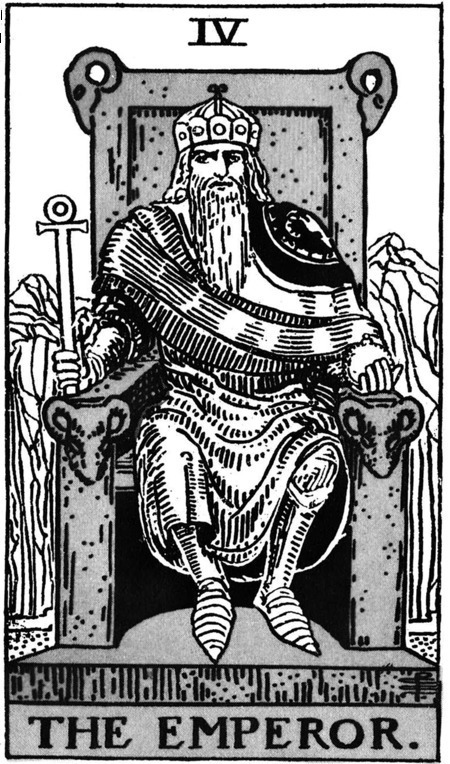 Our Tarot Tuesday card this week is card IV of the Major Arcana, The Emperor. Counterpart to the Empress, the Emperor signifies a powerful influence, generally male in nature. Tell Augustine that he should be no means destroy the temples of the gods but rather the idols within those temples. Let him, after he has purified them with holy water, place altars and relics of the saints in them. For, if those temples are well built, they should be converted from the worship of demons to the service of the true God. Looking at the ‘male’ aspect of this card, there is one site that has been subverted by the church from its original purpose that stands literally head and shoulders above all others. The tallest monolith in the UK, the mighty Rudston Monolith. 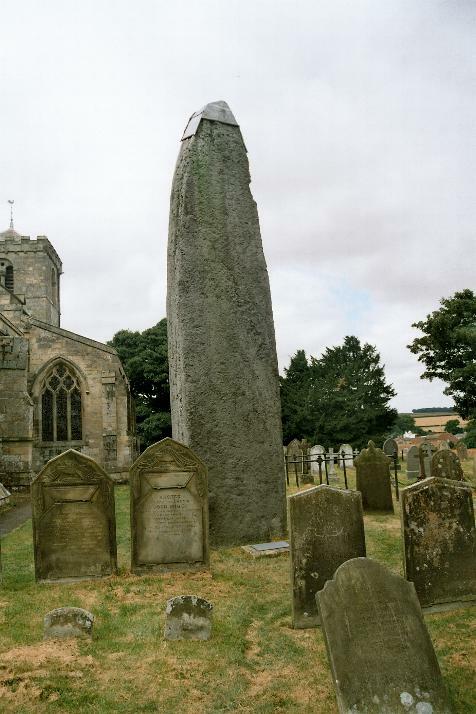 Standing nearly 8m tall (and reputed to be as deep below as above ground) the stone stands in the churchyard and has been capped with a metal ‘hat’ – the stone was originally as much as a metre taller. The stone is part of a wider complex of monuments which includes cursii and barrows and is seen as a phallic focal point for rituals in local folklore. The current church is Norman in date, although it’s possible that an earlier Saxon church occupied the same site (see the Bede quote above). Which heritage site would you associate with this card? Leave a comment. Previous articles in this series can be found here.